WishesQuotes » Quotes » Achieve Greatness with these Ten Simple Tips! 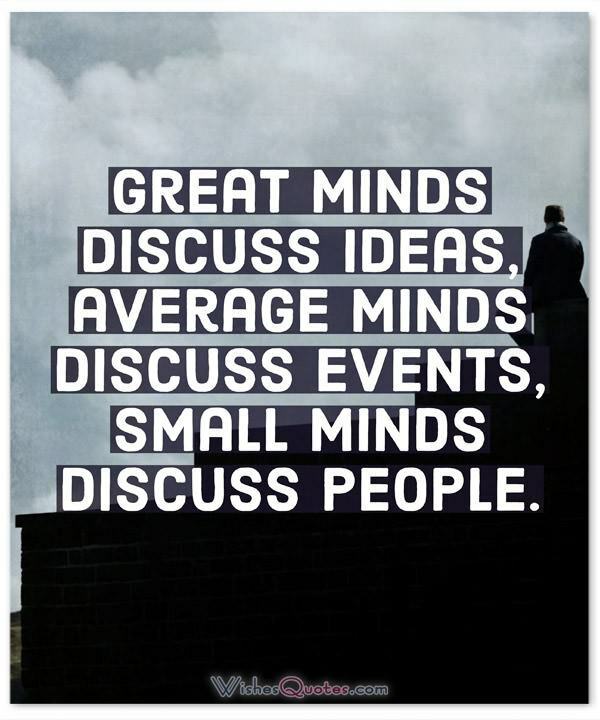 50 Quotes to Inspire Greatness! Your Body is a Temple and your Mind your Greatest Weapon. 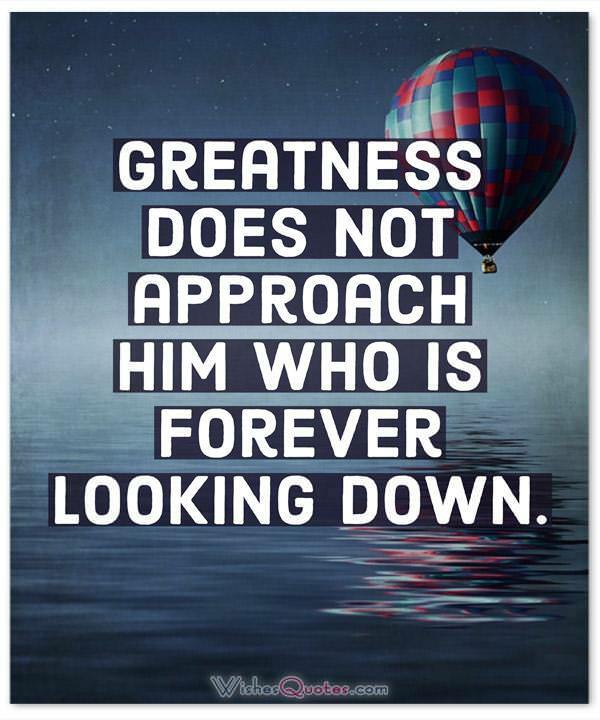 Greatness is a feature that can be found in every one of us. The humankind as a species is such a complicated construct, which by the time of its creation, it was meant to be great. The problem in our society is that most of us do not believe we achieve greatness for various reason. Some because they are afraid, other because they have been judged, others have tried and failed and are not willing to try again. The thing is, we should not be focusing on the reasons behind the problem, we should be trying to fix it. So, today, we have provided you with ten things you need to change about yourself if you want to become the best version of yourself! 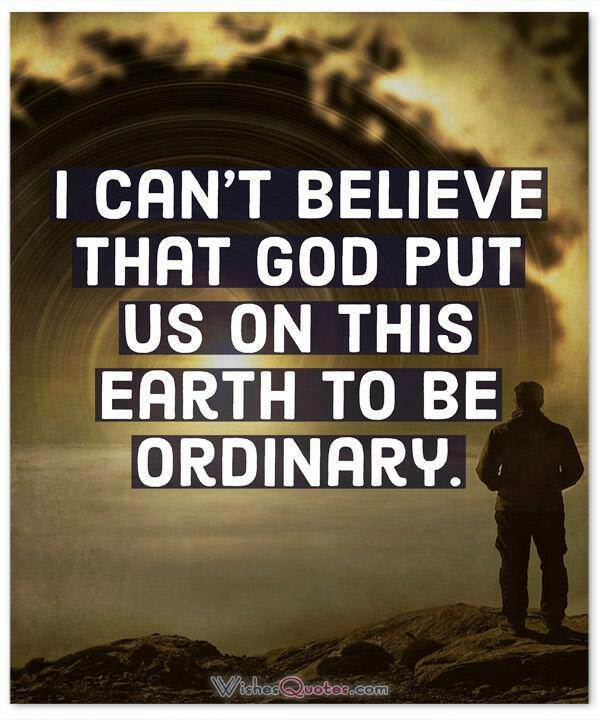 The way our society is formed has brought us to believe that we are destined to be wherever we started from. This could not be further away from the truth. Just because you were born in sub-optimal conditions does not mean that you do not have what it takes to be great. If you have the courage and the willpower to look around, opportunities will come, and you have to be prepared to grab them by the hair. It is essential that you believe in your strength and rise to the challenge. Let me begin with a little history lesson on this one. The way the humankind has survived and evolved for millions of years is because of the pack. We were not brought to this world to be alone. So, having people around you that can be trusted is essential for you to be great. They will be the ones that will catch you when you fall and lift you back emotionally so that you can get back out on the fray. You see, if you want to become the best version of yourself, then being mediocre will not be enough. Evolution is a tough thing, and it requires every inch of willpower and effort you can provide. Everything less than that will result in ultimate failure. So, if you want to succeed, you have to bring your A-game in everything you do. That means not being lazy, not getting complacent and not accepting anything less than the result you want. A lot of people will tell you that successful people never fail. This statement cannot be further away from the truth. You see, it is nearly impossible to achieve greatness on the first try. Otherwise, everyone would do it. What separates those who are great and those who are not are their mindset. You have to be prepared that some things will not go as you want them to and that’s ok. What’s important though is that you take these failures and learn from them so that you do not repeat the same mistakes. You have probably realized this yourself, but as we grow up, we are greatly influenced by our surroundings. This applies to us from our childhood all the way to the very last moments of our lives. So, you can understand why it is imperative that you surround yourself with people that you consider significant, or that have the same aspirations as you. They will become the motivation you need to get there and provide you with the tools and ideas that helped them face the problems you have not yet encountered on your journey. I know that being great is an abstract term and everyone has a different explanation for it in their minds. So, for you to have the results you want, you need to break down greatness into smaller, more reasonable goals. This way you have a more unobstructed view of what you should be doing and the resources you will require to get there. Following the daily routine, you’ve had for the past 12 trillion years is pretty much the last thing you should be doing if you want to be great. To succeed you need to start taking risks and getting out of your comfort zone. This life is too small to be doing the same things over and over again. If you fail, it’s ok, take a look at the fifth tip and try again. Our mental and physical health is essential, not only when it comes to greatness, but to everything else in this life. It is easy to forget about yourself and get lost in the process of evolution. So, you should always try to maintain a healthy lifestyle. This means exercising as often as you can, eating healthy and taking some time for your body and mind to rest. 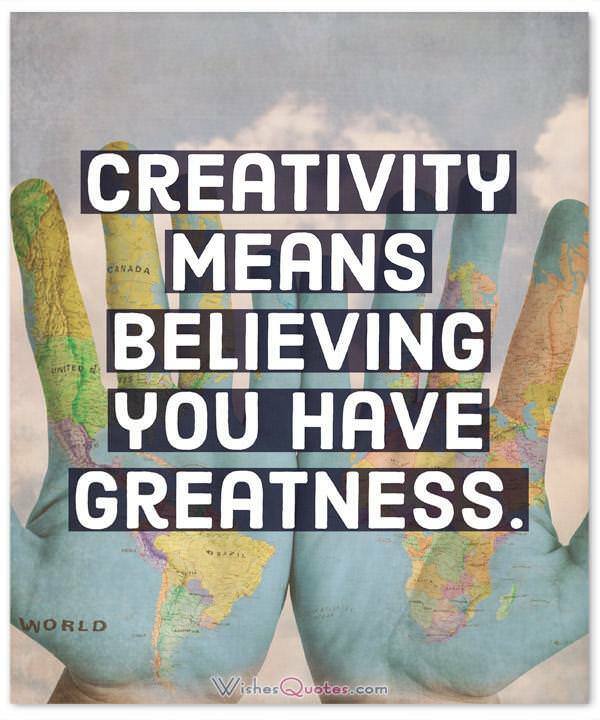 All the historical figures that can be characterized as “great” have one thing in common. They are all weird. You see, being weird is not a bad thing, on the contrary, it is crucial if you want to be great. Being weird means that you are not operating by society’s standards, meaning that you are not mediocre. So, if you have a creative and fresh way of doing something, just do it, don’t let society hold you back by calling it weird because next thing you know it might be groundbreaking enough to propel this society forward. 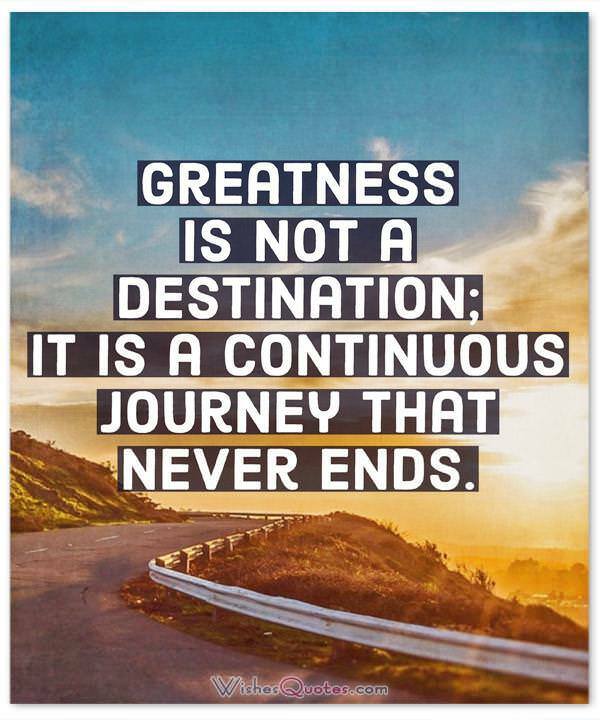 Greatness is not a destination; it is a continuous journey that never ends. A man who has once perceived, however temporarily and however briefly, what makes the greatness of soul, can no longer be happy if he allows himself to be petty, self-seeking, troubled by trivial misfortunes, dreading what fate may have in store for him. The man capable of greatness of soul will open wide the windows of his mind, letting the winds blow freely upon it from every portion of the universe. Before you can inspire with emotion, you must be swamped with it yourself. Before you can move their tears, your own must flow. To convince them, you must believe. Every great man is always being helped by everybody, for his gift is to get right out of all things and all persons. Great crisis produces great men and great deeds of courage. Great men are true men, the men in whom nature has succeeded. They are not extraordinary – they are in the right It is the other species of men who are not what they ought to be. The greatness of name in the father oft-times overwhelms the son; they stand too near one another. The shadow kills the growth: so much that we see the grandchild come more and oftener to be the heir of the first. I’d rather be a great bad poet than a good, bad poet. In our society, those who are in reality superior in intelligence can be accepted by their fellows only if they pretend they are not. Is it so bad, then, to be misunderstood. Pythagoras was misunderstood, and Socrates, and Jesus, and Luther, and Copernicus, and Galileo, and Newton, and every pure and wise spirit that ever took flesh. To be great is to be misunderstood. 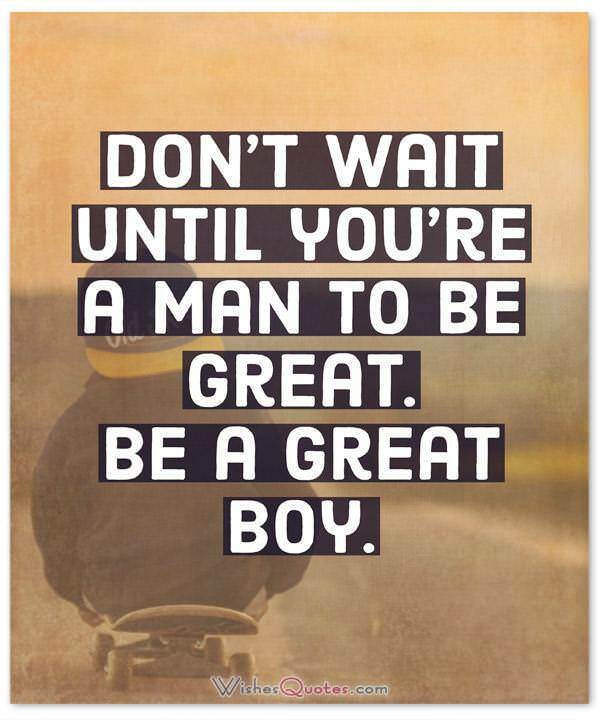 Let us consider the nature of true greatness in men. The people, who can catch hold of men’s minds and feelings and inspire them to do things bigger than themselves, are the people who are remembered in history. Those who stir feelings and imagination and make men struggle toward perfection. Show me a man who cannot bother to do little things, and I’ll show you a man who cannot be trusted to do big things. Some things have not changed since the dawn of history, and bid fair to last out time itself. One of these things is the capacity for greatness in man his capacity for being often the master of the event and sometimes, even more, the changer of the course of history itself. This capacity for greatness is a very precious gift, and we are under danger in our day of stifling it. True greatness is the readiest to recognize and most willing to obey those simple outward laws which have been sanctioned by the experience of mankind. You are not here merely to make a living. You are here to enable the world to live more amply, with greater vision, with a finer spirit of hope and achievement. You are here to enrich the world, and you impoverish yourself if you forget the errand. I want it said of me by those who knew me best; that I always plucked a thistle and planted a flower where I thought a flower would grow. He will see himself and life and the world as truly as our human limitations will permit; realizing the brevity and minuteness of human life, he will realize also that in individual minds is concentrated whatever of value the known universe contains. And he will see that the man whose mind mirrors the world becomes in a sense as great as the world. In emancipation from the fears that beset the slave of circumstance he will experience a profound joy, and through all the vicissitudes of his outward life, he will remain in the depths of his being a happy man.